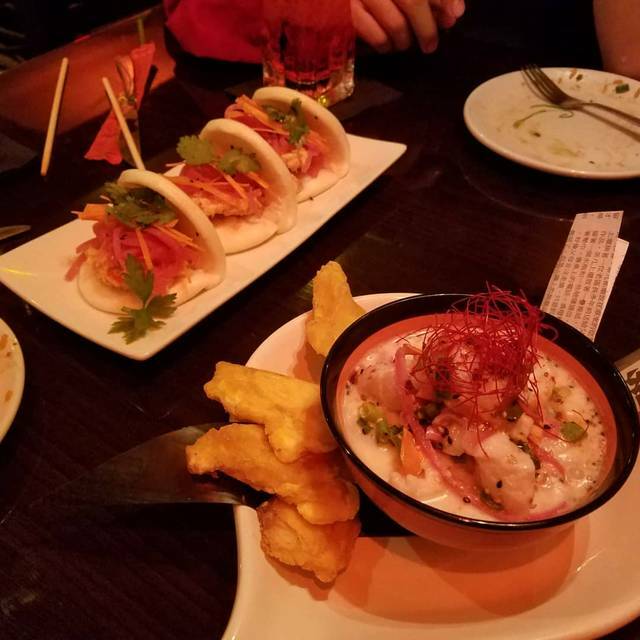 A Latin-Asian Fusion restaurant with a great bar program, personalized service, plates to share, and a customized spin on fresh attractive food with lots of flash. with Tropical Slaw and "Corn-Ribs"
Found restaurant CLOSED. Called the restaurant’s number and just got a disconnected recording. Was looking forward to the evening out, had to find another place to eat before our concert. Located on the tracks behind Hamburger Mary. Great location. We heard awesome things about El Buda so had to try. Chef Treviño made his rounds to all of the tables. He is very hospitable and presents each table with appetizers on the house. The Pork dumplings and Duck Nachos were absolutely perfect. Well thought out and not filling at all. I followed with Grouper Ceviche, where again, it was well planned with plenty of local Atlantic Grouper yet not filling. 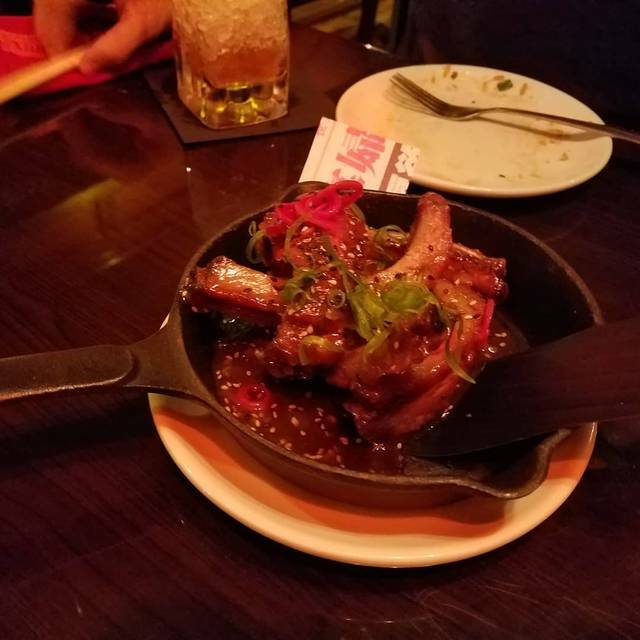 Short ribs were the Best in Town. November and December are 2 for 1 months. Free appetizers nightly. Make your reservations now online and don’t miss out. Building security guard informed us that the restaurant has been closed for over three months and that he has a number of attempts nightly to access this closed restaurant. Save yourself the headache and use somewhere, anywhere else. We went to the restaurant and it was closed. Apparently this restaurant has been closed for a couple of weeks. However this still confirmed my reservation. I showed up with 10 people for a birthday dinner to a restaurant that wasn’t there. Not happy. Had confirmed reservation. Drove three hours to go to restaurant (knew the cuisine from Chef’s other restaurants). It was very difficult to find the place. After finally finding the restaurant it was Closed. Why would they confirm a reservation it they were closed? We made reservations for my husband's birthday and when we arrived, the restaurant was closed indefinitely. There is nothing on their social media pages, website, or even signage out front to indicate the closure. The only reason we knew was because a security guard for another restaurant nearby told us. We had to find a new place to go at the last minute. Horrible experience. We arrived on a Saturday night with a reservations at 6 to find the restaurant closed! We were a party of 6, and we had to find a new restaurant at the last minute. Won’t ever go back! This restaurant has predictably closed down. Had a reservation Thursday and it was locked up when we got there. I used Open Table to make a reservation to this place, which it turned out to be closed permanently and there was no notice on their door or their website that they are out of business. They closed the restaurant indefinitely and don’t notify anyone. I posted in their website and they claim they closed it early because of the rain and heat. We had made reservations for quite some tome and even I tended to add more people yet they never replied to my requests. They run that place horrible. I made a reservation with open a table when we got there the restaurant was permanently closed. even though we had a reservation through open table, when we arrived at the restaurant IT WAS CLOSED!! no note on the door, no phone call. It was a stormy night so maybe they decided to close early but we would have appreciated a phone call. it was very disappointing. Some very unique menu items. I will certainly try again. Pricing and menu descriptions both need lots of work. The Ropa Viejo was tough unfortunately but good flavor. Apps great! Great location, the atmosphere was nice and chill. Amazing time, food was outstanding! Even though the food was good there were plates not available... Which was very disappointing. ND we were not offer other solutions. First time dining here. Food was great. Our server was new and didn't seem to know anything about the menu. They were out of almost every beer (this was a Saturday night), some of the cocktails, and several of the appetizers. Other than that, the ambiance was very nice and the food was unique and uniformly good. We will likely come back again and hope for more options. The dumplings were so delicious. Gorgeous space and lovely staff. They were out of all wine less than$70/bottle and all vodka. They had multiple events during the week, but disappointing nonetheless. My server was also the bartender so got limited service. Food was good but service lacking on a Saturday evening. Do yourself a favor and don't even bother! This restaurant will be closed soon enough. We should have left when we stood for a while at the host stand with no greeting, but we were intrigued by the food so we waited. Finally a server walked up to help us (we had a reservation), but had to do something else before he could seat us, so we waited by the stand a little longer. The hostess finally appeared, with what seemed to be a foot injury. She didn't make eye contact with us or say hello. She just sorted a bunch of tattered menus and generally looked annoyed at life. When she came back, it was to inform us that the they were out of the merlot she recommended and the cab our friends ordered -- basically they had no red wine. Oh, and they also didn't have the beer she was going to bring my boyfriend. I felt like I was in the Twilight Zone! We decided to leave and she said she didn't blame us. Good grief, I hope they at least had food. The manager met us in the lobby telling us that this was his fault and held the door open for us to leave...zero recovery options for 4 locals (in the hospitality business ess) who could have come back again. The reason I say that this place is short-lived is due to the ineptitude of this manager and the others that run that business. They made poor hiring choices and obviously can't manage their inventory or don't have the cash flow to keep it stocked. Adios El Buda...namaste! The service was disappointing. Food was excellent. Drinks were pricey but good. The server failed to fill our water glasses throughout the hour and a half dining experience, and though the food was prompt, he was not. I paid for a drink I never received because we had to run to the theatre to catch the show. If he had communicated the situation better, we may have had a better experience. My husband and I have been servers ourselves and know how communicating with the customer can go a long way. The food was an inventive blend of Asian and Latin, as advertised. 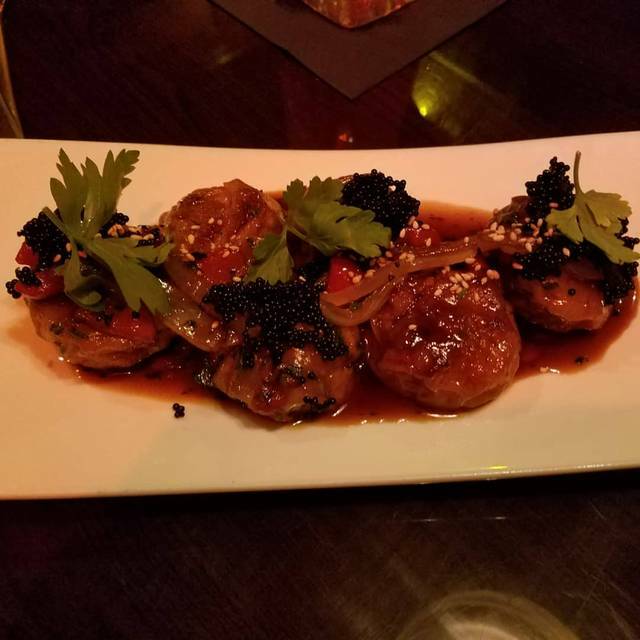 We ordered the blistered peppers and dumplings for appetizers, both delicious. Churrasco for my meal and it delivered. No complaints about the food but the poor service called the whole experience. The food was amazing and Christian was an amazing server who did a great job of helping us choose some fantastic food. We will be back! 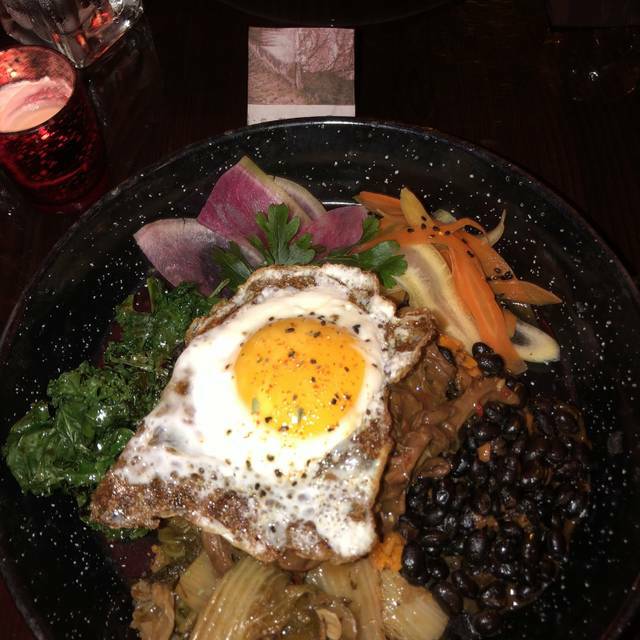 Very unique food. 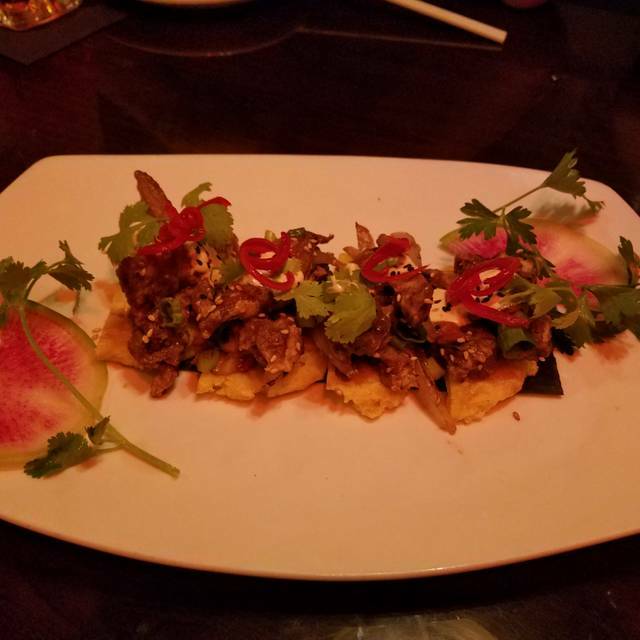 The combination of Latin and Asian cuisine brought such flavor to my pallet, that makes me keep coming for more! The appetizers were great and the meals were very good. I would call it “Chino-Latino Gourmet”. The duck and maduros fried rice, and the dumplings, WOW. Not the easiest place to find (Waze and Google Maps had problems locating due to train tracks and buildings nearby), but beyond that worth the short walk (parking everywhere and inexpensive). It’s in a great spot, near the activity in Church st. It was interesting food but way over priced. Lo Mein with chicken for $22 is just crazy for what you get. It comes with a small container of mole sauce (which was delicious) but it really didn't go with the subtle flavors of the lo mein. Dining partner had a ban mi (also good) which came with the same mole- why??? Same flavor disconnect. Yucca fries were so so. The dining room was dark ("baroque" my friend called) with a lot of red. Very few people. The waiter tried really hard- a little too hard actually. Won't be back. We enjoyed the food and the service was wonderful. Everything we tried was very well presented and delicious. So the Puerto Rican cuisine fell in love with the Asian cuisine and they had a kid named El Buda Latino. Pleasantly surprised by how well those tastes went together. And the drinks... Awesome as well. Music was right on point. Highly recommend a visit to El Buda. 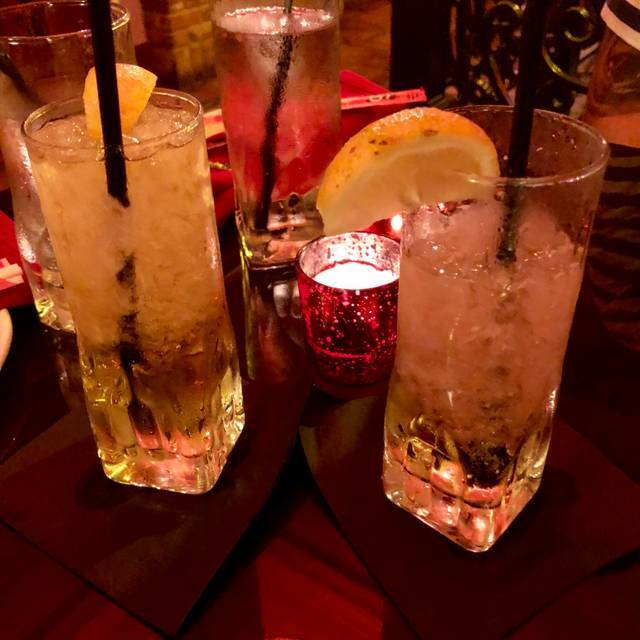 The ambiance of the oldest brick & mortar building in old town Orlando (formally the Masonic Hall) lends a inviting warm glow to the open layout of the kitchen & bar area as you enter this gorgeous space. 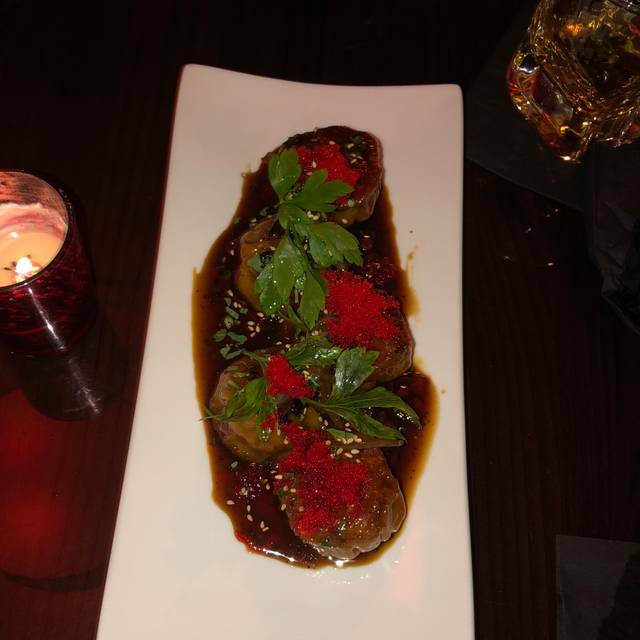 However the LatAsian fusion taking place in Chef's kitchen is a palate bending pleasure to an epicureans delight, along with some of the most intoxicatingly unique house blended fruit & flower infused cocktails. Set a reservation for Sunday brunch. It's clearly offered on their website from 11-4 and I was obviously able to book a reservation on the app. I got a confirmation email AND text message prior to my visit. But when I showed up on Sunday for my 2pm reservation, they were closed. Seriously? Confirmed the reservation TWICE and they're closed? Luckily Artisans Table was more than happy to seat us and our Sunday wasn't completely shot, no thanks to El Buda. Food and service were both amazing!! Awesome food and ambiance. Definitely worth it! I am (at least was) a fan of Chef Treviño, one of his restaurants was my favorite for quite some time back in PR. Unfortunately the food was not to the level I was expecting from him. Flavors are not quite there, I hope they do some tweaks and get it there. I will give it a try once for happy hour since I dont think the price for the food is worth paying for what you get although I would pay if it was excelent food). On a good note, the beers were really cold. Chef Roberto Trevino and his team never disappoint. Marie our sever was amazing. The food was excellent. I invited some friends that came to visit from Puerto Rico and everyone was amazed by the quality and flavors. Great change of pace on a Disney vacation. Eclectic menu very welcoming.